Experienced Leaders Share Their Unique Brand of Dumb Advice. Chicago, IL, USA — Peter Wolf, President of QuantaCRM, a Microsoft Dynamics 365 Sales and CRM partner, and Wayne Schulz, founder of Schulz Consulting, a Sage 100 consulting firm, chat bi-weekly about news, trends, and topics of interest for technology consultants focused on small and mid-size businesses on the SMB Jumpstreet podcast. To listen to SMB Jumpstreet, visit http://www.smbjumpstreet.com. “SMB Jumpstreet is the only podcast guaranteed to deliver our unique brand of dumb advice about technology news and suggestions on how to survive in today’s world of rapidly changing service models,” says Wolf of Chicago-based QuantaCRM. “We are dedicated to serving technology and business consultants who specialize in the SMB space,” adds Schulz from Schulz Consulting in Glastonbury, CT.
QuantaCRM is a Microsoft Dynamics CRM Online reseller based in Chicago providing sales, consulting, implementation, training and technical support to small and medium-sized businesses. For more information, visit http://www.quantacrm.com or call 888.490.3190. Schulz Consulting focuses on Sage 100 ERP projects, advising on all versions of supported Sage 100 as well as complementary third-party solutions. Based in Glastonbury, CT, Schulz Consulting works on a fixed-price model and guarantees its server moves, workstation reinstallations, ongoing support, upgrades and new implementations. For more information, visit http://www.s-consult.com or call 860.657.8544. Sharing the gift of knowledge with employees, co-workers, business associates, and friends! 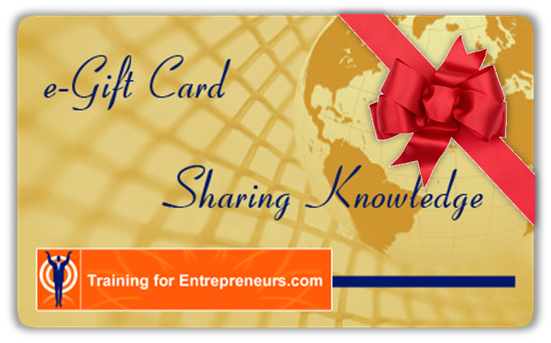 Sarasota, FL, USA (November 19, 2014) — Rapidly growing online training and development website – Training for Entrepreneurs.com is making holiday gift giving easier with its TFE e-Gift Cards… the unique alternatives to traditional gift cards. Stumped on a gift for the budding entrepreneur in your life? Why not give the gift of business training and mentoring? Training for Entrepreneurs.com (TFE) makes it easy to help your friends, co-workers, business associates, and family gain critical business knowledge with our TFE e-Gift Cards. TFE Certified Master Mentors train and mentor aspiring entrepreneurs, business owners, and executives through our virtual mentoring programs, e-learning courses – including customized courseware – and live-onsite and live-online training workshops. With the TFE e-Gift Card, you can share the gift of knowledge with a business owner who might need the timely help our business mentors and coaches can provide. This gift might mean the difference between success and failure for that business. • Affordable: Numerous options are available that are reasonably priced. Better still, there are no added fees. • Convenient: We send the TFE e-Gift Cards directly to your recipients via e-mail within 3 days of purchase. • Personalized: You have the option of including personalized messages with your TFE e-Gift Cards. • Secure: Our site uses technology to ensure your personal and payment information is kept secure and confidential. Secure payments are made via PayPal. No PayPal account is needed. TFE provides many learning and mentoring opportunities for the entrepreneur, including Soft Skills Workshops; 1-to-1 Mentoring Sessions; Start-Smart Mentoring Program; and our Brand-Smart Mentoring Program. For your first purchase, you might consider the e-book, “How to Jumpstart Your Business,” written by Terry H. Hill, co-founder and chief business mentor of TFE. 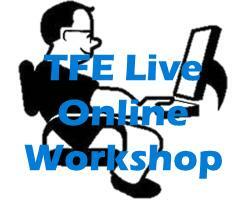 Training for Entrepreneurs.com (TFE) creates, develops, publishes, and facilitates web-based business skills training, e-learning, and mentoring courses/programs in entrepreneurship, management, strategic planning, leadership, and practical instruction for starting and growing small businesses.